Since December 2011 by this blog, I’ve purged my heart, mind and soul; laying Naykd my thoughts to all, to know but, with time of near four years passage, what most did not grow, is awareness to a wisdom, my words, with hope, would sow. Yet, undaunted I pursue this work, not for the charm of accolade or renown but, for the mere chance of survival from that which ails this world; I feel so emotionally, so profound. It is my only vehicle to solution short of violent revolution upon the corruptness metastasizing throughout this Human institution but to remain discouraged, by its prolific infusion. `Words can be mightier than the sword’ but, for that truth to be known, the right words need be shown, for the courage of strength, to be sown. The following is in response to the attached video from Acronym independent News channel discussing the coming economic instigated Peoples’ revolution. Last Chance Revolution – Lost? Firstly, I think we can all admit and accept the planet no, more accurately, the planet’s tenants are becoming increasingly agitated. It is evident in every sector and system that affects our daily lives: weather, finance, economy, morality, etc, etc.. The debate that has ensued is, `Is this by design or destiny of fate?’. In an attempt to address this question from the perspective of the present 2010 looking retrospectively forward, one might conclude: by design! The impetus to all that appears to be occurring is the sublimation to servitude achieved by perpetrated, induced fear of a ghostly threat, only to achieve the ultimate goal of `imperial control’. That gives rise on how best to achieve this end. The inception of the Internet has to be the grease that turned this massive wheel of deception and tyranny. Through out history especially modern history, the government intelligence community is easily traced to assassinations, coups, and other mischievous activities to attain the goals of the ruling power (democratic or otherwise). Well it is well known to all how the Central Intelligence Agency (CIA) have had their hands dirty by the most insidious and corrupt affairs of both domestic and international politics that leads to the focus on domestic political affairs within the realm of the global oligarchy. In effect who is controlling whom? To make the point clearer I suggest the analogy of the `ponsi-scheme’ that I am sure in light of the current financial system debacle most are familiar with the term; well, that is what the global oligarch from the top-down, represents that is, a myriad of power groups are layered ever upward to yet another, then another to in the end does anyone know who controls whom since the membership amongst the very senior of these strata are all of the same family lineage – an inter-marriage of power through ultimate, yet yielding to when enforced upon, power. By introduction and retailing of the Internet saw the incredible growth in both the software and hardware industry increasingly geared toward `social networking’ whereby the unbridled, unconscious relinquishing of typically sensitive, private and confidential information on the deception of being close to family and friends. The growth of global tracking or geosynchronous positioning satellite system and technologies or G.P.S., compounded by electronic banking and diminishing of hard currency transactions at the retail, consumer level, all in combination had the general populations masses totally under there control. The next step was the installation of the `fear factor’. The icon date: September 11, 2001 infamously known as 9/11, was the catalysts to this objective. The destruction of the United States financial icon of global financial superiority rivaling that of Wall Street, along with a reputed three-thousand fatalities, was horrific enough to the then coddled, protected and naive to the horrors of conflict general population, they immediately succumb to the whims and wants of the powers that be, from that date forward. The two major conflicts that followed against Iraq and Afghanistan were precipitous to the financial collapse of the fiat monetary system and the major world banks up to but not including the international, central banks putting the entire global financial, monetary and economic power in the hands of the oligarchy. The obvious question that comes to mind is where were the people during this time – the activists, the rebelling youth of the time, how did they allow this to flourish? The few youth of the new millennium that saw through the charade were too few in number to stand-up effectively against the increasingly militarized, interwoven departments of police and military security under the central control of the Homeland security establishments. The majority of youth were oblivious to what was happening around them being far too consumed with Internet based networking socializing, video games and other diversionary, established activities. One could say they unwittingly submitted to the slaughter of the civil and human rights coached there by mindless diversions. The present year is 2010 and the current western demographic has the majority of adult population being those born post WWII. The average age of this group is between their early to mid-sixties. This group is comprised typically of well-educated and financially successful and established individuals of means and those who are most immediately venerable to the uncontrollable effects of down-sizing affected by design, by the oligarchy as per the above outline. It is this group that I believe are the last hope to initiate or motivate a revolt on the increasingly evident plans for dominance by the oligarchy. Yet sadly it is my belief this group, having grown fat, satisfied and mentally lazy are about to too, relinquish any form of resistance to what they consider a power too big to fight. In summation, the prospects for dark and forlorn days ahead is only in the eyes of those who `see it coming’ yet are to few in number to change this perceived course. All those remaining are oblivious as will be their prodigy, not sensing or aware of the changes that are taking place as they naively consume a contrived, virtual life existence: the fuel energy to power the oligarchy machine (not unlike that depicted in the movie `The Matrix’). But to question its perceived infinite significance. Will humanity give it chance to play? Is mine before death to gloat? The following links are to a series of self-published books whereby you can explore their content and if so desired, purchase either in soft or hardcover or as an e-book. 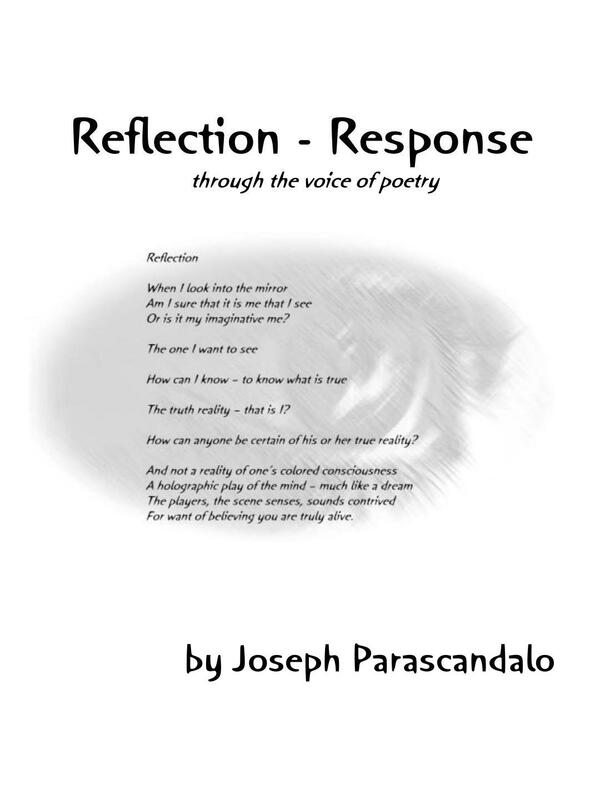 REFLECTION – RESPONSE through the voice of poetry. 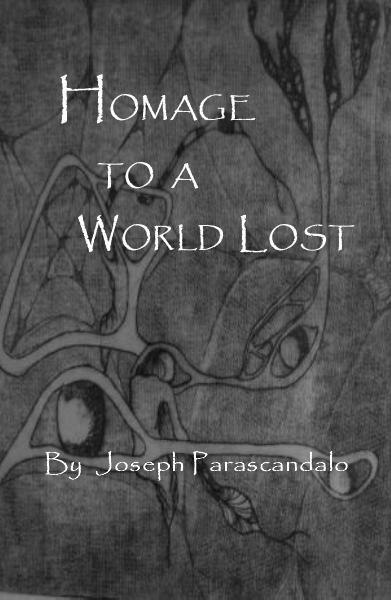 As an introduction, this collection of poems is premised on reflection of the many important and diverse issues facing the global human community today and, through the voice of poetry, express my personal response to a perceived affect these issues are having on human, societal evolution. 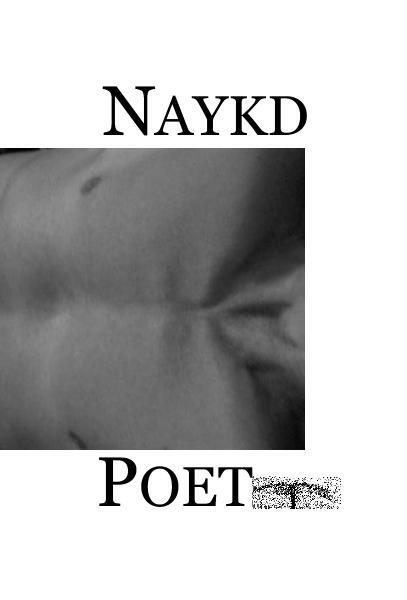 Interspersed amongst these poems are several reflecting a personal philosophy toward life, sexuality and the environment. I hope you will take a few moments to visit my Self-publishing website by clicking on the image below to review the contents of this book and, I would be further honored if you found it worthy of purchasing at a reasonable cost. It is available as Soft-cover and Hard-cover issues. Thank you in advance for your time in this regard. I hope you would take a few moments to visit my Self-publishing website to review the contents of this book and I would be further honored if you found it worthy of comment. 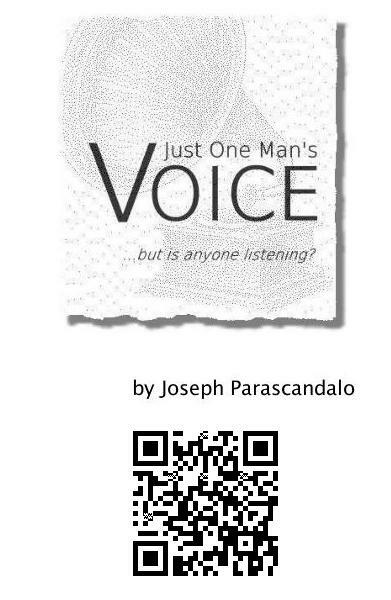 It will soon be available in a variety of print format including, as an e-book for I-pad and tablet. The attached file is a pdf of tweets posted over a period of several months. They make for easy and ideally, entertaining reading. The topics cover a wide spectrum of subject but a common thread binds them and that being to question our human environment in the context of politics, religion and even sexuality not only on a global scale but too, on a personal level. VOICE is expressive of one point of view but hopefully one that will not only garner a common sense of contemporary life but one that will foster debate of the issues that face all in this increasingly global-community.